I set of for Dover on sunday 22nd June 2008 with a stop at Canterbury to store up on food i caught the 10pm ferry to Dunkerque. A trouble free crossing had me docking at 11pm French time. Setting of towards Abbeyville /Paris i drove for about an hour before coming off the A16 with the intention of a few hours sleep at the aire at St Valery sur Mer but i found a quiet layby on route so got my head down there. Up at 5.30 for my trip down to Charles-de Gaule airport, with the satnav giving me problems i found my way to terminal 3 where the family were arriving. 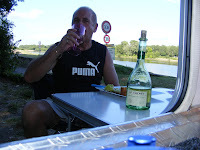 Here my problems started as my phone which i had recently taken a new contract with Virgin did not change to roaming. I now had the problem of how do i get in touch with daughter when she arrives. I had got there about 8 ish and knew they were due about 10 but with no means of getting in touch how would i find them, luckily the terminal was most probably the quietest so i set about finding a route round the terminal. I sussed out you could do a circle of the terminal in about ten minutes and as i could not get in the car park for hight restrictions i decided i would just circle the terminal and hope i spotted them. After about forty circles to include a couple of stops at the terminal building parking in the taxi bay i found them or should i say they found me as the saw me on one of my circles. I spent 3 days on the hotel Cheyenne car park in Disney where the daughter was staying, i had asked at reception if it was ok and was told yes, not sure if they thought i was staying at the hotel but on the fourth day i found a ticket on the windscreen telling me i had to move from the car park. There is a garage outside the Cheyenne that’s listed as an aire in the aires book so i went and filled up with diesel and used the services and asked the attendant if it was ok to park overnight and was told no problem. 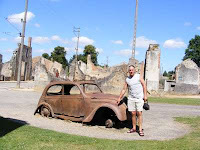 As daughter and family were only there for 4 days i dropped them back at the airport and set off round the ring road of Paris heading for Oradour -sur glane. After leaving the airport i headed down the A10 towards Orleans and with the intention of sampling the pleasantries Loire River.After consulting the aires book i opted for a little village just through Orleans and not too far out of my way for Oradour. 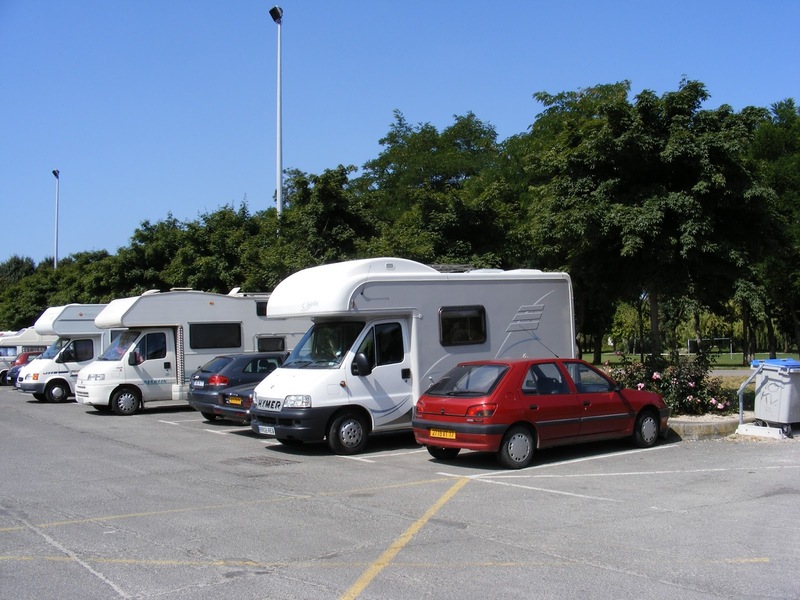 I arrived at the aire and found it full but with a couple of vans parked on the road outside i opted for parking with these and so settled down for here the night. 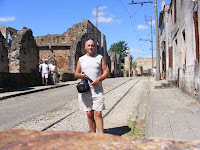 A stroll into the village revealed a typical sleepy French village and a couple of glasses of the local brew put me on course for a barby back at the van. The next morning a few vans had moved on and as it was a glorious sunny day i moved the van to the front of the aire overlooking the river and decided to stop a couple of days and do a bit of cycling and explore the area. 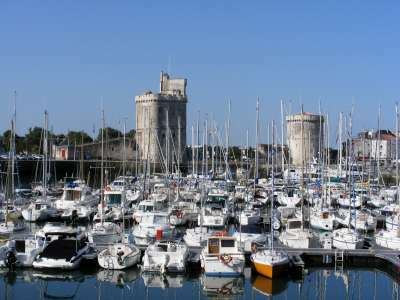 I left Oradour and made my way to the Atlantic coast and to La Rochelle arriving late at night and helped by the Vicarious books All the Aires France i found the Aire at Esplanades des Parks which stated was within walking distance of the town centre. 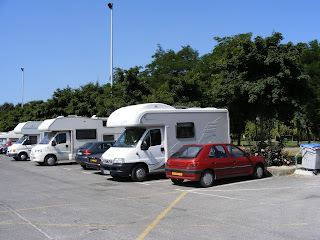 The Aire was just a car park but with water and waste facilities (although the waste facility was not one i would use as it must have been the most unhygienic i had seen it looked as though a motorhome with a large black waste tank had not bothered to open the waste cover and had just dropped it on top) but there were about 50 vans parked here so it seemed very safe. I parked for the night had a brew and then as it was ten o'clock ish decided to have a wander and explore the route to the centre. I strolled through the park that the car park backed onto and was surprised to find many people out jogging and walking at this time of night even though it was a summer evening, because of the location i was half expecting it to be a hangout for local dropouts but i was so wrong and it just confirmed to me why i prefer to be in France than in my home country. As the book said the centre was a 10 minute stroll thro the park and the harbour maybe another 10 minutes. 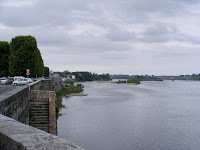 and the recommendations i had from fellow travellers on how nice the villages on the Loire were i headed off to Poitiers via Nort. 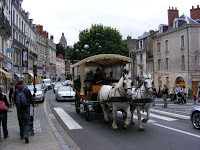 After a whistlestop tour of Poitiers it was Tours next stop. 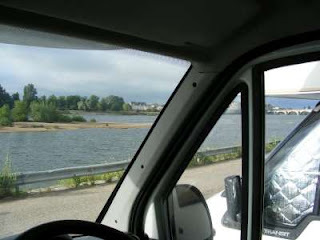 I took the motorway which was toll free, I came off the m/way before Tours as i dislike large towns /city's and headed for Blois via St Avertin and Mont Lois and intended to stay at Chaumont. 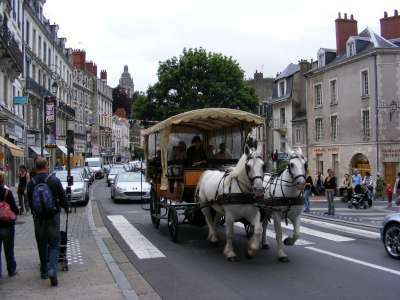 On arrival at Chaumont the town centre aire was very busy so i then decided to head on a bit further to Blois. 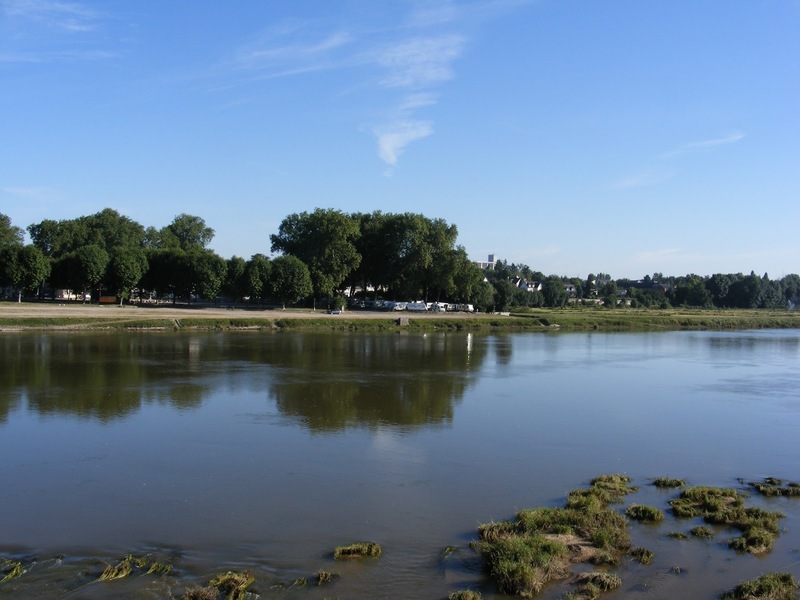 This decision got me a great parking spot with a fantastic view on the Loire in a delightful little town .I also again met some fellow very friendly fellow motorhomers with whom i spent a couple of delightful days and then continued my journey back up to Calais and sadly back home to await my return trip.